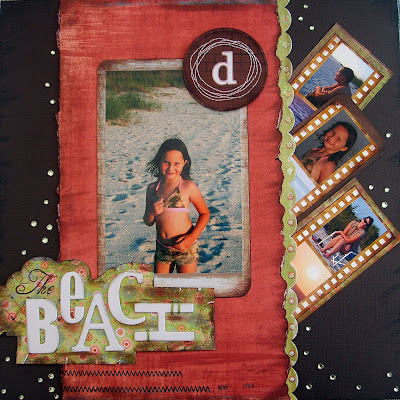 I completed these fun hybrid scrapbook pages last night at Terry Lee's crop. We had so much fun scrapping, laughing and hanging out. The papers and chip board accents are from Bo-Bunny. I utilized Photoshop to create the film strips (which incorporated 10 photos on a single 12x12 page) and I created a digi element which I printed it out on white cardstock (the d). I also, printed my journaling and a digi overlay on 12x12 paper to fit the page design. 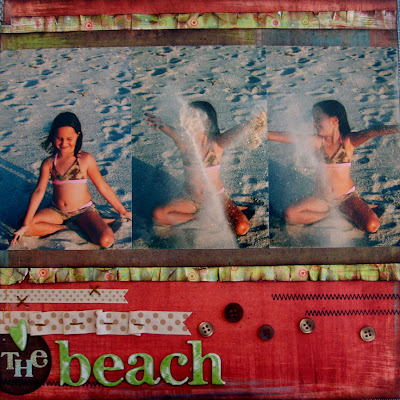 Many might think that digital and paper scrapbooking can't mix, but it can! That is how you mix it UP! 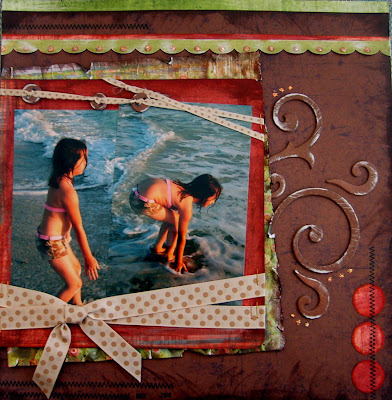 That's called hybrid scrapbooking, combining traditional and digital elements on a scrapbooking page. I love it! Love your new blog header!!!! The hybrid pages look awesome!! Great job! Can't wait to get together again! these are awesome!! great layouts...you inspire me.